Displaying ghastly and unpleasant behavior, slogans were raised on Friday, by lawyers inside the Madras High Court asking Chief Justice Sanjay Kishan Kaul to go back to Kashmir or Delhi. Chief Justice Kaul was however worried about the image of the Court. A Court boycott and day long protest meeting was held in the Court campus in Friday, by the Madras High Court Advocates Association. MHAA president R.C. Paul Kanagaraj said only if the Bar was taken into confidence would advocates render all assistance for smooth functioning of courts. Lawyers too have a responsibility in ensuring that only deserving people were elevated as judges, he said. He further urged the lawyers to introspect, wondering what would Government authorities who are charged for Contempt of Court and law students think of advocates if they witness the latter's unruly behavior. Their conduct, added the Judge, would be “a deterrent to good people who come to the bench." The Court functioning has been perturbed lately with sights of rallies, fasts, dharnas and boycotts during the past week over two issues- firstly the dissatisfaction of the Bar functionaries and lawyers with the list of nine names that have been forwarded to the Supreme Court for appointment as High Court Judges and secondly the disapproval of law students and sections of lawyers with respect to shifting of the law college. Consequently, agitated lawyers barged into several Court halls on Thursday and raised slogans. 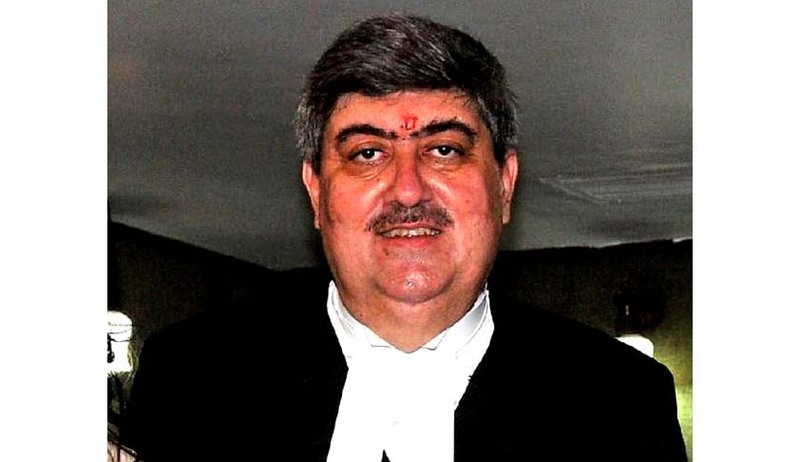 Chief Justice Kaul has however made it clear that he would not work under threat and would not certainly take instructions from anyone on the matter of appointment. Noting that efficient people are not willing to become judges because of the behavior of advocates, Chief Justice Kaul told lawyers, "It is in your hands to either respect or tarnish the image of this great institution." This resilience has attracted responses from the legal community. Retd. SC Judge Markandey Katju expressed his disapproval of the lawyers’ behavior on Sunday in his blog, stating, “Your behavior towards your Chief Justice, Justice Sanjay Kishan Kaul, has caused me great pain I think your actions are totally unjustified and indefensible. “You are very lucky to get such a good Chief Justice. You should have seen to it that his tenure in Madras High Court was smooth and happy, but the way many of you have behaved is totally unacceptable, and entirely unexpected of lawyers of a High Court with such high traditions which have so distinguished it in the past,” he added. Read the complete post here. LiveLaw had earlier reported that the collegium has paved way for appointment of the Chief Justice of Delhi High Court, Justice G. Rohini and Madras High Court, Justice Sanjay Kishan Kaul to be elevated to the Supreme Court. Tweets by former Additional Solicitor General, Indira Jaising had further strengthened the claims. Read the LiveLaw story here.